Today, machine learning underlies a range of applications we use every day, from product recommendations to voice recognition - as well as some we don't yet use every day, including driverless cars. It is the basis of the new approach in computing where we do not write programs but collect data; the idea is to learn the algorithms for the tasks automatically from data. As computing devices grow more ubiquitous, a larger part of our lives and work is recorded digitally, and as "Big Data" has gotten bigger, the theory of machine learning - the foundation of efforts to process that data into knowledge - has also advanced. 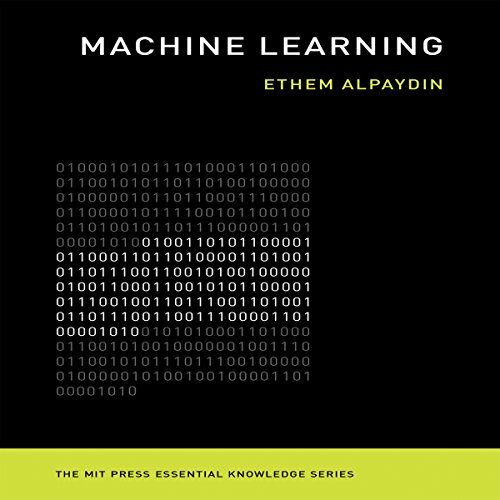 In this audiobook, machine learning expert Ethem Alpaydin offers a concise overview of the subject for the general listener, describing its evolution, explaining important learning algorithms, and presenting example applications. Alpaydin offers an account of how digital technology advanced from number-crunching mainframes to mobile devices, putting today's machine learning boom in context. He describes the basics of machine learning and some applications; the use of machine learning algorithms for pattern recognition; artificial neural networks inspired by the human brain; algorithms that learn associations between instances, with such applications as customer segmentation and learning recommendations; and reinforcement learning, when an autonomous agent learns act so as to maximize reward and minimize penalty. Alpaydin then considers some future directions for machine learning and the new field of "data science," and discusses the ethical and legal implications for data privacy and security. The narrator sounded like he was reading a real estate sales manual. The material was neither super technical like Andrew Ngs work nor enough of a high level positioning to make it worthwhile on either end. This book is a basic history of computing. It is so basic I'm shocked it's from MIT. Todays children instinctually understand the topics covered in this book. The title is misleading. It should simply read "The history of basic computing"
Really wanted to hear this book, but had to give up half way through chapter one. The theatrical delivery was too distracting and is not well sited to such a technical topic. Annunciation also very jarring for headphone listening. Disappointing. I don't really fault the author, but it is very hard to explain such a complicated subject as machine learning in a simple way. 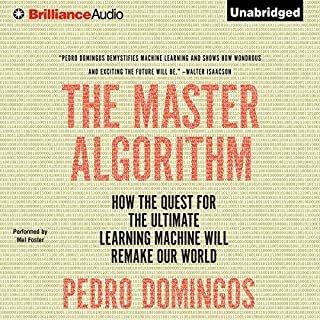 Indeed, if I hadn't read Domingues' "the master algorithm" – which I highly recommend instead – I would say it's impossible. Even if you only want to know what all the hype is about without being interested in all the details, I'm not sure this book will be worth your time. It's hard to find books on machine learning that don't use advanced math. Unfortunately, I think that, in order to go beyond the surface, some amount of math is necessary – even for in introduction. Some things are actually more clear if you put them in equations. Thus, what I would recommend instead (in addition to reading "the master algorithm" for the intuition), is to watch Domingues' (search for "csep 546") and Victor Lavrenko's lectures on machine learning on YouTube, as well as reading Hastie & T.'s "introduction to statistical learning" (which also has free videos available somewhere). 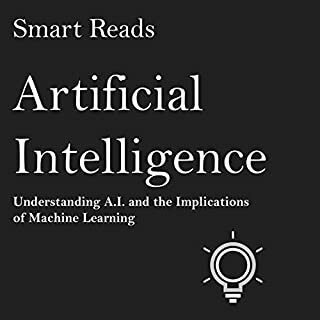 If this is not an option for you because you're looking for a easy read or something available as an audiobook, I can recommend Nate Silver's "the signal and the noise", as well as books that focus more on applications of machine learning, as well as its effect on the economy and society, etc. (my personal favorites are "the second machine age", "machine, platform, crowd", and "the platform revolution" – all available as audiobooks). This book is one platitude after another. 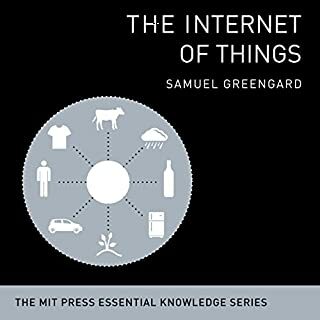 If you didn't know that "a smartphone is a computer that is always online", or that "People can "surf" the web", then this book will tell you those facts without explaining them. The subject material is treated similarly. Recommender systems, neural networks, deep learning - the most superficial description is given of each, but certainly no detail how they are trained or actually work. 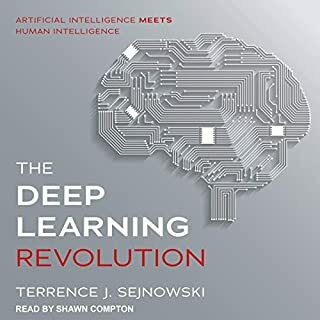 A little info about machine learning at the end, after wadding through chapters of shallow pedantism about the history of computing. Can't say anything about the book because I won't listen to it beyond the first chapter. The narrator is overracting in an reverbing room. I'm giving the current four star rating because it isn't the books fault. The author covers the topic well enough and the listener that is able to maintain focus will end up conversant in the topic of machine learning and its associated industries. I am fairly technical, and I had trouble staying engaged with this book. Information rich, but not evocative. Which is probably an unfair accusation to level at any text on such a geeky topic, but there you go dear listener. These topics could be a little more exciting if the orator sounded the least bit exciting. True to the book itself, I️ felt like a machine was reading to me. 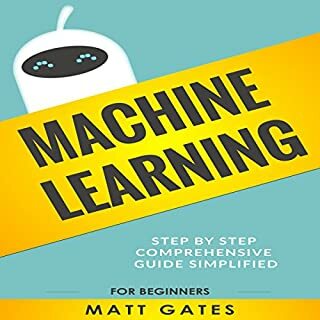 I selected this book as an intro to machine learning. It was very informative and used simple real world scenarios to make concepts easy to digest. I found the book interesting and informative. 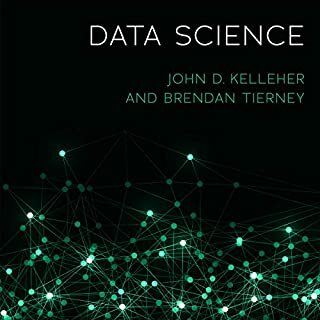 If you are looking for a book that glosses over the topics of machine learning and associated disciplines this book if for you. I am used to reading and listening to books that have a more hands on approach to learning the subject material. Still worth a listen and gave me more avenues to persue. I’m not an expert in this field, so I could be wrong but I returned this audio book half at through. Feels like the author is an academic reading bits and pieces out of other academics text books.